The shooting death of Sylville Smith, a 23-year-old African American man, by Dominique Heaggan-Brown, an African-American police officer in the Milwaukee (Wisconsin) Police Department, yet again intensified the national debate over the shooting of unarmed black citizens at the hands of police and reinforced the call by Black Lives Matter advocates for reform. Smith’s death, however, was unusual because he was shot by a black police officer and because it helped spark the Milwaukee Riot in August 2016. Sylville Smith was born on April 11, 1993, in Milwaukee, Wisconsin to parents Patrick Smith and Mildred Hayes. Smith had three siblings, Patrick Smith Jr., Sherelle Smith, and Sedan Smith. Little known of Smith’s early life but what is known is that he had a history of mental health issues which required him to take special education classes in elementary and middle school. Smith attended Pulaski High School and Riverside University High School in Milwaukee. Mental health issues notwithstanding, Smith had a lengthy criminal record which went back to 2011 when he was 18. Since his 18th birthday he been arrested and ticketed eight times for robbery, carrying a concealed weapon, theft, heroin possession, and other minor crimes. He was also a victim of crime, getting shot and robbed on several occasions. On February 3, 2015, Smith was charged with felony first-degree reckless endangerment from a shooting on August 24, 2014. The charged was later dismissed after the victim recanted his story. On August 13, 2016, Smith was shot and killed by Milwaukee Police officer Dominque Heaggan-Brown after fleeing from a traffic stop. 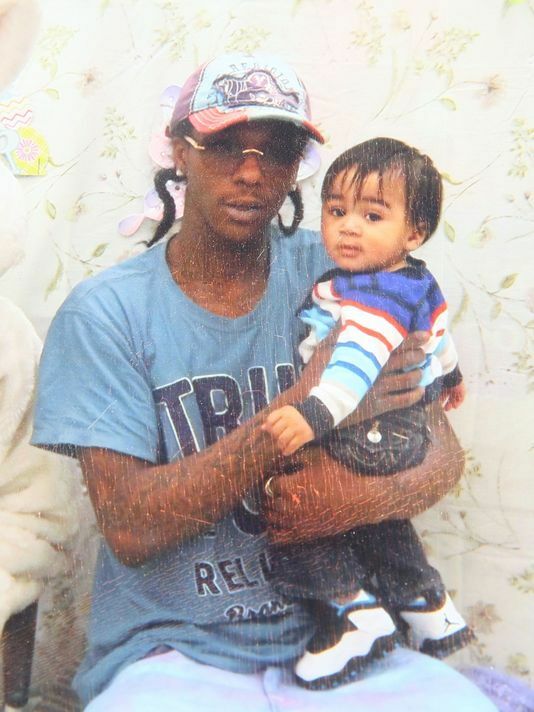 The exact circumstances of his death are unclear but his shooting led to community protests which evolved into the 2016 Milwaukee Riot, two nights of violence in the heavily black Sherman Park neighborhood. Milwaukee Police later explained that Smith was armed with a stolen handgun when he fled a traffic stop which led to the fatal shooting. Officer Dominque Heggan-Brown ordered Smith to drop his gun which he refused to. Brown then shot Smith in the chest and arm. Smith later died from his injuries. Heaggan-Brown was eventually indicted for the shooting of Smith. After a brief trial, on June 21, 2017, Brown was found non-guilty. Ironically Dominque Heaggan-Brown was arrested and charged with sexually assaulting a man the night after the shooting as the both watched coverage of the riots on television at a bar. He was later charged with a second sexual assault. He was fired from the Milwaukee Police Department in October 2016. As of this writing the Heaggan-Brown case on sexual assault is still pending. “Sylville Smith,” CNN, http://www.cnn.com/2017/06/21/us/milwaukee-heaggan-brown-shooting-trial/index.html; “Sylville Smith,” Fox 6 Now, http://fox6now.com/2016/08/13/milwaukee-police-sheriffs-office-responding-to-disturbance-near-n-sherman-auer/; “Sylville Smith,” The Atlantic, https://www.theatlantic.com/news/archive/2017/06/milwaukee-police-officer-found-not-guilty-in-death-of-sylville-smith/531222/; “Sylville Smith,” New York Times, https://www.nytimes.com/2017/06/21/us/milwaukee-police-shooting-trial-protest.html.